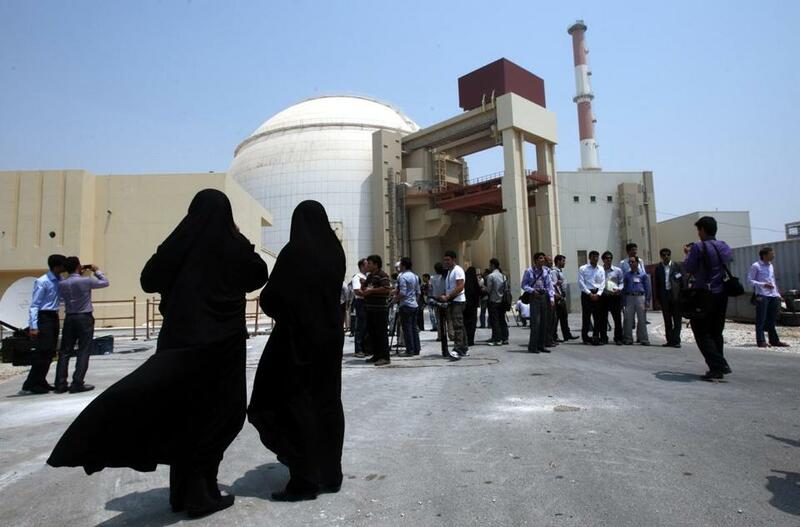 Iranian security officials looked at members of the media in front of the Bushehr nuclear plant. Pieces on the global chessboard are not nailed permanently into place. With Iran, as recently with Cuba, President Obama has proven that world leaders can move the pieces when it is in their interest. This will be his greatest foreign policy legacy. The newly announced accord between Iran and six outside powers deals only with the nation’s nuclear program. Its true meaning, though, is far greater. It is a step toward reimagining the Middle East and America’s role there. Hostility between the United States and Iran is a 36-year-old institution in global politics. Poisoned relationships like these fall into patterns that are amazingly difficult to break. Anger takes on a momentum of its own. Each party looks for new reasons to detest the other. This is the spiral Obama now seeks to break. The central achievement of this new accord, at least from the US perspective, it that it all but guarantees Iran will not develop nuclear weapons. This is a strategic breakthrough for which Obama and Secretary of State John Kerry deserve great credit. Unless the accord falls apart, they have removed a profoundly destabilizing factor from Middle East politics. The accord also eases economic sanctions on Iran, which may lead Iran toward more wealth, power and influence. That prospect terrifies some longtime American partners, especially Israel and Saudi Arabia. Obama, however, believes it could be in America’s interest. By 2014, seven in 10 Iranians believed the nuclear sanctions were aimed at them, not the government. Iran, as the heart of Shiite Islam, is a militant enemy of radical Sunni movements like ISIS, Al Qaeda, and the Taliban. If the United States is truly dedicated to fighting those movements, Iran would be a logical partner. Business opportunities also push the two countries together. Iran is the world’s last big untapped consumer market, with nearly 80 million literate, Westernized people eager for much that the US produces. Since Iran has rich oil and gas reserves to pay for what it buys, potential profits are enormous. Iran influences events in other parts of the Middle East, including Iraq, Syria, and Yemen. Obama is betting that bringing it out of the cold will give it a greater stake in regional stability — and perhaps greater willingness to compromise in regional disputes. If the new accord comes into force, Iran will become less isolated. Business will boom. Iranians will become richer. So will their government, which will use its wealth to support friends in the region. This is what terrifies the Israelis and Saudis. They fear not that Iran will violate the accord, but the opposite — that Iran will scrupulously observe it and use it as a springboard to greater regional power. Obama believes that a stable, self-confident, prosperous Iran will be good for the Middle East. 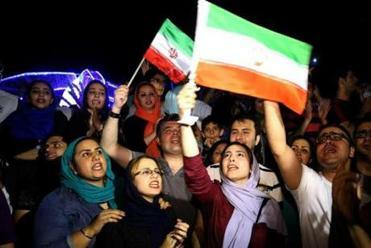 Others consider Iran’s influence incurably malign, and prefer to keep it poor and isolated. Iran’s behavior will be crucial in calming fears about its regional ambitions. Reassuring gestures toward Israel and Saudi Arabia would help. So would the release of Jason Rezaian, the Washington Post correspondent who has been held without trial in Tehran for nearly a year. Opposition to this accord in Washington is based less on Iran’s actions than on its demonic image. Memories of its past sins — especially the hostage crisis of 1979-80 — burn in American hearts and blind us to our national interest. We take at face value what Iran’s bitterest enemies tell us. We see Iran as a country that has caused us great harm, and overlook the harm we have caused Iran. Obama has ruptured this paradigm. His new accord is about more than Iran. It is welcome proof that sometimes, the United States can change when the world changes.